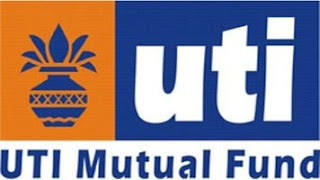 UTI Mastershare Unit Scheme is India’s first equity oriented fund (launched in October 1986) and having track record of wealth creation for over 30 years. UTI Mastershare Unit Scheme has a long standing track record of uninterrupted annual dividend distribution across all market cycles - be it bearish or bullish. UTI Mastershare Unit Scheme, An open ended equity scheme predominantly investing in large cap stocks. While being a Large Cap Fund, the fund follows an investment style of Growth at Reasonable Price (GARP) for stock picking. GARP strategy combines tenets of both growth and value investing by finding companies that show consistent earnings growth but trading at a reasonable valuation. The Fund has a corpus of Rs. 5,191 crore with over 5.33 lakh live investor accounts as on June 30, 2018. The Fund aims at securing capital appreciation / or income distribution over a long term, follows a disciplined approach to invest as stated above and has maintained stream of annual dividends. UTI Mastershare Unit Scheme has distributed total dividend of more than Rs. 3,000 crore since inception as of date. UTI Mastershare Unit Scheme being categorized as Large Cap Fund and investing predominantly large-cap stocks consist of businesses with seasoned management and well-known names such as, HDFC Bank, Infosys, Tata Consultancy Services, ICICI Bank, Kotak Mahindra Bank, Indus Ind Bank, Maruti Suzuki India, ITC Ltd Tech Mahindra, Larsen & Toubro Ltd. which account for over 47% of the portfolio. Scheme has continued its approach of well-disciplined investment criterion in sector/stock allocation and stock concentration. The Scheme is currently overweight on Retail oriented private sector banks, Rural focused NBFC, IT, Industrial Manufacturing and underweight on Energy, Consumer, and Metals. The scheme has been a steady performer with lower volatility. UTI Mastershare Unit Scheme has generated a return (CAGR) of 14.82% against benchmark return of 14.34% since inception as on June 30, 2018. Just to highlight, investment amount of Rs. 10 lakhs made in the fund at inception has grown to Rs. 8.01 crores as on June 30, 2018 as against Rs.7.02 crores as per benchmark S&P BSE 100 TRI during the same period. The scheme has generated 80 times returns over the last 32 years. UTI Mastershare Unit Scheme is suitable for those equity investors who are looking to build “core equity portfolio” with relatively stable and sustainable performance from a large cap portfolio and also for those who would prefer regular dividend and capital appreciation over long term.